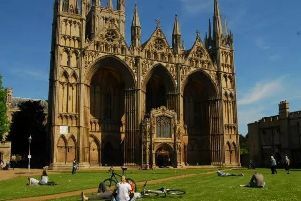 Following a warning about a group of men who appear to be targeting lone women drivers in order to make fraudulent insurance claims, the Peterborough Telegraph has been informed of incidents taking place in the Peterborough area. The newspaper highlighted earlier today, Tuesday April 4, incidents taking place in neighbouring Northamptonshire, where a car full of men suddenly braked on a roundabout despite there being no traffic oncoming, causing a crash. The Peterborough Telegraph has now received reports of the same happening on the A47 Thorney bypass. Mrs Harris said: “This happened to me last night, Monday, on the Thorney Bypass. “It was a dark blue car with at least four foreign looking men in it. It happened around 5.40pm last night. The car came around the first roundabout as approaching Thorney, obviously not a lot of traffic generally comes right around that roundabout, but that’s when I noticed the passengers. “I then carried on over that roundabout onto the bypass. At the next roundabout I was turning left, he appeared to be going straight on, looked right, nothing was coming so he entered the roundabout. I looked right again, it was still clear so I started to enter the roundabout and he slammed his breaks on. I slammed mine on just in time thankfully. Our journalists also spoke to two women in neighbouring Northamptonshire.